« What Makes a Great Husband? Meryl Streep is one of my favourite actresses, although I must admit I’ve not watched each and every movie she has acted in. I’ve loved her in Kramer Vs. Kramer and The Devil Wears Prada. 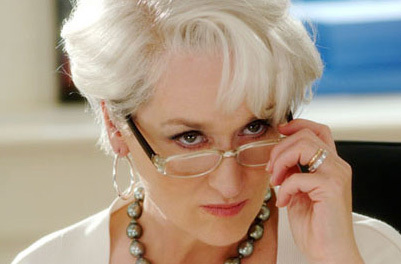 Miranda Priestly stayed with me for a long time after watching the movie , she is probably one of my favourite movie characters too. I’ve watched that movie a million times over just for Streep and Anne Hathway. Every time I watch that movie I wonder how can acting come so easy to anyone. No one else could’ve played Miranda. I must admit I was a bit a disappointed when she did not win the Oscar in 2007 for that movie. So go hurry over to the article and revisit her speeches – and learn why she is indeed the greatest living underdog.